Talens includes many of the same single pigment colors found in professional brands, but at a more economcial price. 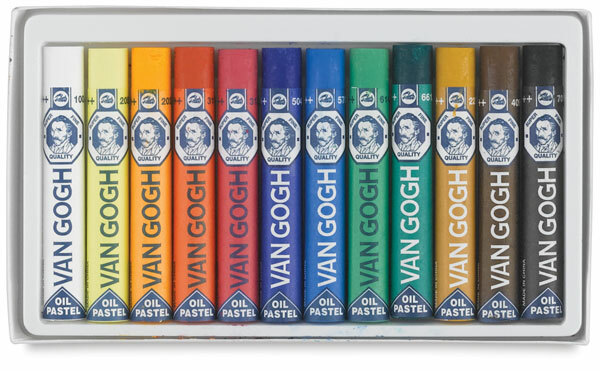 Individual pastels are round with paper sleeves and measure 2-3/4" × 7/16" (70 mm × 11 mm). 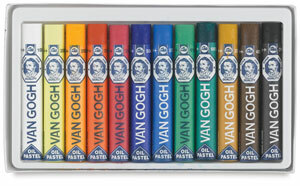 Van Gogh Oil Pastels are available in open stock. Replace individual colors as they are used up, and keep your sets complete.